Dental implants in Creve Coeur have become the most preferred solution to replace missing teeth because they offer over a 95% success rate. Due to the materials used and treatment process, they are the only dental prosthetic that will last for a lifetime. Their benefits and success are due to the fact that they replace both the root and crown of the tooth. A traditional dental implant consists of three main parts: a biocompatible implant post, an abutment, and a custom-made dental crown. The materials used and multi-phased treatment process allows them to closely look and function like natural teeth while being the only tooth replacement option that preserves bone density. There is no set cost for dental implants because the price is influenced by several factors, such as how many teeth are being replaced or if additional procedures, like bone grafting, are needed. In some cases, your insurance may pay for a portion of the procedure, which may decrease the amount you need to pay out-of-pocket. 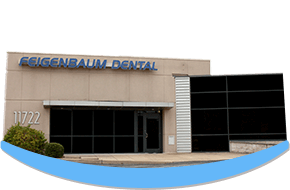 To get an estimate, schedule your consultation for dental implants with your dentist in Creve Coeur. The number of dental implants that you need depends on how many teeth are being replaced. A single missing tooth only uses one implant post. However, if you are missing more than one in a row, two posts may be needed. To replace an entire arch, four implant posts are generally required. When are the Implants placed? Placing the dental implants is the first phase of the treatment. After ensuring that you are a candidate for dental implants, diagnostic images are used to determine the ideal placement for the posts. In some cases, you may require additional procedures prior to undergoing the placement process, such as tooth extractions or bone grafting. In this case, you will need to be fully healed from the previous procedures prior to having the implants placed. How long does it take for an Implant to heal? Your body naturally fuses to the implant posts; however, this does not happen overnight. On average, it can take about three months, but adequate healing typically takes a few weeks. If a bone grafting procedure was needed prior to the placement, the healing time will be a bit longer. What happens after the Implants have healed? After the dental implant has been placed and adequate healing has occurred, you will be scheduled for the second part of the treatment to place the abutment. This is a connector piece between the post and the dental crown. The gum tissue is opened to expose the post. It is then placed onto the post and the tissue will begin to heal around it. This usually only takes about two weeks, at which point, you can undergo the restoration phase to complete your smile. If you are ready to complete your smile with dental implants, schedule your consultation today.